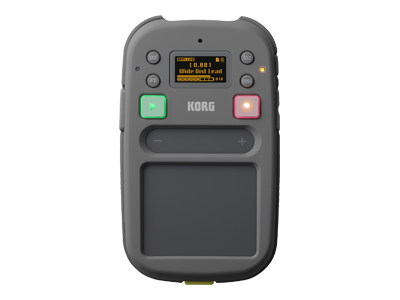 Q. kaossilator 2S does not recognize the card, or card-specific functions lag. Other cards may not be read, or perform at a much slower rate that is typical. Q. The LoopRec’s track number does not increase. If you perform the record function while the kaossilator 2S is in the process of writing to the card, writing of the track will be canceled. Make sure the kaossilator 2S is not performing a record function before adding tracks. Q. LoopRec’s track number remains at “---“ on the display. · If the card icon does not display, the card is not inserted or the card is not recognized, or, there may not be enough space on the medium to create the track. Please review and remove any unwanted data from the card. Q. An important note about material and 2Mix/Finalization. Please note that only final, audible tracks will be used within the finalization process. Undo/redo material cannot be included with the finalization. · Is the PLAY button is flashing or illuminated? If so, please make sure it is flashing by loop recording. · If even once you do not have a recording, you cannot run the Finalize. Q. Not all export selections show up. · Is the track you’re working with “001”? · If there is only one track, the selections are limited to Material or Ableton Export. 2Mix and Both will only be displayed if there are more than one recorded track. Loop editing is possible on overdubbed recordings. The initial recording pass cannot be partially erased. Q. There is no sound from the speakers when using the internal microphone or external microphone input. · This is intentional and is meant to prevent feedback during recording operations. · You can check the incoming sound with headphones. Q. Which files formats can kaossilator 2S import?